Download Marooned! 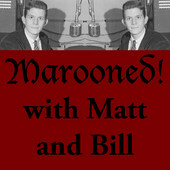 with Matt & Bill, a new podcast by and for graduate students. It’s about graduate student life and all things academic. Features Bill Hutchison (MAPH ’12) and Matt Hauske (current MAPH preceptor). Free on iTunes – leave a review! This entry was posted in Academics, Adventures, Alumni, Entertainment, On Campus and tagged Marooned! on March 6, 2014 by Jessica Haley.